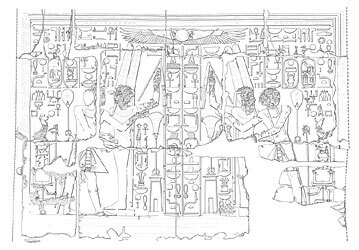 I have worked as an epigraphic artist for the University of Chicago's Oriental Institute/Epigraphic Survey in Luxor, Egypt since 1985. The project, known as Chicago House, began in 1924 and is committed to both conserving and documenting the ancient monuments under its concession. We still use the same drawing method that originated in the 20s but now incorporate digital technology. 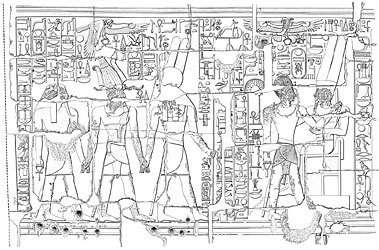 Starting with a large-format black and white photograph of the scene and mirrored light raking across the temple or tomb wall's carved relief, the artist pencils over the hieroglyphs, figures, and architectural elements. We draw with a stylus on an iPad or in some instances with pencil on the photograph. 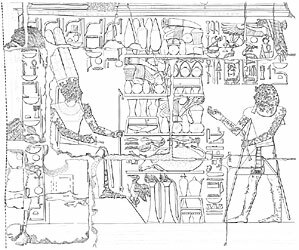 The penciled lines are then inked and a blueprint of the inked scene is made for our Egyptologists and artists to carefully examine at the wall. 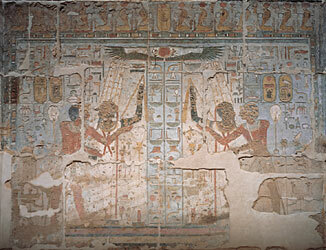 The artist uses the blueprint and notes to make any changes to the drawing. 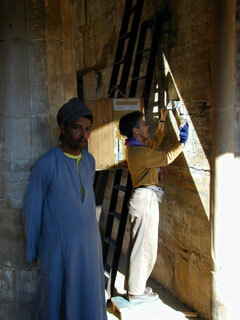 Lastly the director takes the drawing back on site and makes the final check.